A lot of people are saying that today's game versus Ghana, with a berth in the round of 16 on the line, is the biggest game in the history of US soccer. But that got me thinking about all the big games throughout US soccer history and where this game might end up ranking. 1950 World Cup in Brazil - US 1 England 0 - This game was recently made into a movie called The Game of Their Lives. It was the soccer version of the 1980 Miracle on Ice as this was a rag tag group of amateurs against the number one team in the world. But, since that team didn't go on to win the World Cup and the US failed to qualify for the World Cup finals for the next forty years, this game sometimes gets lost in the shuffle. 1989 World Cup Qualifying - US 1 Trinidad & Tobago 0 - Paul Caligiuri scored the "Goal Heard Round the World" to send the US to the 1990 World Cup in Italy. While the US went out in three straight at the World Cup, just getting there was a major achievement for US Soccer and it all came down to that last qualifying match on the road in T&T. 1998 Gold Cup Semifinals - US 1 Brazil 0 - Preki scored the goal and Kasey Keller made a boatload of amazing saves as the US defeated mighty Brazil to advance to the Gold Cup finals. The fact that the US was able to defeat Brazil in a tournament that meant a little something has to place this match up on the list of biggest games in US soccer history. 2002 World Cup Round of 16 - US 2 Mexico 0 - This match allowed the US to advance to the Quarterfinals of the World Cup. 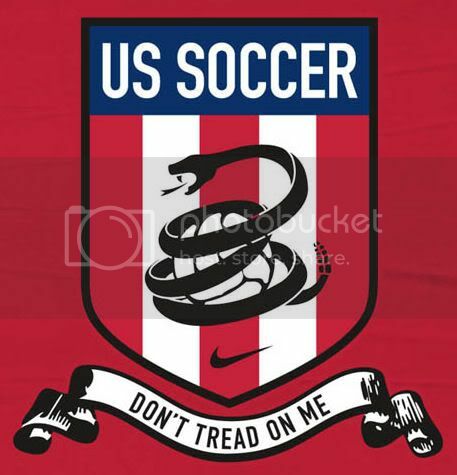 This match very well could be the biggest win in US Soccer history because of the magnitude of the stage and the fact that it help lead to the belief that perhaps the US had arrived. 2002 World Cup Quarterfinals - Germany 1 US 0 - This match may have been even more reputation building than the win over Mexico. The US had proven that they could play with the Mexicans through their many battles in CONCACAF qualifying and Gold Cup tournaments. What the US hadn't done in over fifty years was to play a European power in a stage such as a World Cup and hold their own. In this match, despite the result, the US more than held their own. And in the end, they were unlikely to not advance to the Semifinals. 1999 Women's World Cup Final - US 0 China 0 (US wins on PKs) - 90,185 fans packed the Rose Bowl in Pasadena, California to see the US Women's National Team win their second World Cup title. This match took on added exposure due to the fact that it was in the US and it had the memorable goal celebration by US defender Brandi Chastain after she scored the Cup clinching penalty kick goal. 2004 Olympics Women's Soccer Gold Medal Game - US 2 Brazil 1 (OT) - Rochester native Abby Wambach scores the overtime Gold Medal winning goal to send US Women's Soccer legends Joy Fawcett, Julie Foudy and Mia Hamm into retirement on a winning note. OK, so maybe this is a bit of a biased call because of who was the hero, but I do think that it was huge that Hamm, Foudy, and Fawcett win in their last big tournament of their great international careers. 2006 World Cup - US 1 Italy 1 - I'm only putting this match on the list because of all of the people that hyped this match up after the US no-showed in the opener versus the Czech Republic. I never really bought into the doom and gloom hype of what would happen should the US lose to Italy. But, I thought I'd throw it out there for discussion sake. In the end, I don't believe that today's match is the biggest in US history for a couple of reasons. The main reason is that if the US wins and advances out of group play, they will likely get Brazil in the Round of 16. And that match will become "The Biggest Game in US Soccer History". If a game can get replaced that quickly, then it is obviously not that big of a game, to me. The other reason is that I don't believe that the result of this match will have long lasting effects on soccer in this country. Personally, I think the "Goal Heard Round the World" game and the 1999 Women's World Cup Final are the two biggest games in US Soccer history because of the effect that the result had on soccer in this country. I believe qualifying for the 1990 World Cup help lay the groundwork for a successful 1994 World Cup held in the US. Which led to MLS getting off the ground. Which has led to the US doing well in the 2002 World Cup and being in a position to advance today. The 1999 Women's World Cup victory propelled players like Brandi Chastain and Mia Hamm into true sports superstar status. It helped get the WUSA off the ground. And while the shine has worn off a bit, there are still ripple effects being felt from that victory. The US needs to attack! US Manager Bruce Arena has said that the longer that today's match is scoreless, the happier he'll be. I'm guessing he's talking about his confidence in the fitness of his team and that he feels like they'll be the fresher team at the end. Personally, I want this team to come out of the blocks like eleven men that are fighting for their lives. I want them to play desperate, attacking soccer for ninety minutes. I want this team to take control of this game early and just throttle Ghana. I want this team to make up the five goal gap in goal differential they have with the Italians so that they don't have to scoreboard watch to advance. I know that the US only has one shot on goal in two matches and that they haven't scored "a real goal" yet. But, I also don't believe that this team has played with the same type of attacking attitude that they had in 2002 when they got out to a 3-0 lead versus Portugal. If the 2002 squad can put three goals up on Portugal, then this squad can score more than their share against a Ghanian squad that will be missing a couple of key players due to yellow card accumulation. I'm not the first person to call for Eddie Johnson to start and I probably won't be the last. I don't agree with Eric Wynalda a lot, but I do believe he was dead on when he said that Brian McBride needs help up top. Personally, I would counter Ghana's team speed, with the speediest lineup the US has put out there yet. I'd pair McBride and Johnson up top. I'd play Landon Donovan as an attacking midfielder/withdrawn striker. I'd play DeMarcus Beasley out left and Clint Dempsey out right. I'd have US Captain Claudio Reyna start in the holding midfield spot with Pablo Mastroeni out due to his red card versus Italy. I'd insert Bobby Convey at left back to provide speed and attacking ability. I'd play Carlos Bocanegra inside with Oguchi Onyewu. I'd keep Steve Cherundolo at right back and Kasey Keller in net. I'm expecting the backline to end up being Bocanegra at left back and Jimmy Conrad inside with Onyewu. But, I think the speed and attacking ability that Convey brings to the table is something that is needed in a match where the US needs offensive firepower. I've said it before and I'll say it again: Damn the torpedoes! FULL SPEED AHEAD! After all, WE ARE THE US! THE MIGHTY, MIGHTY US!